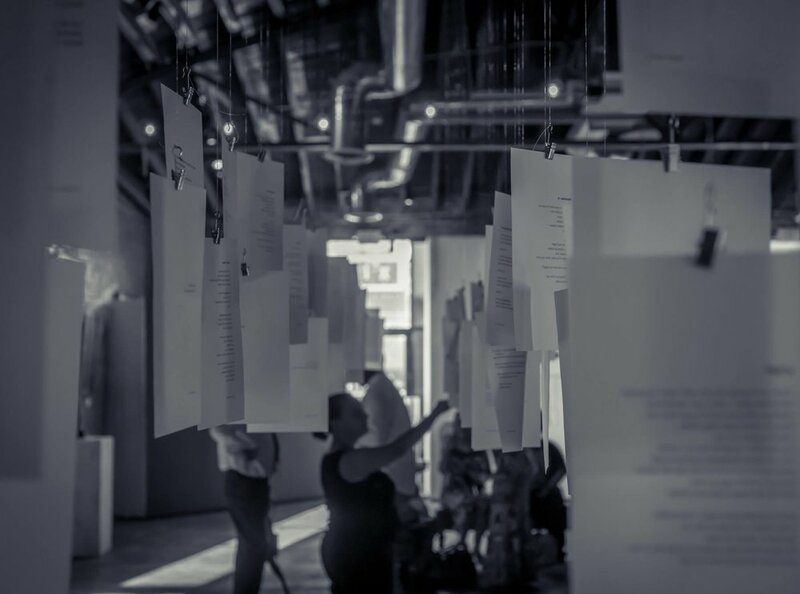 A mixed media interactive sculpture of poetry. Original poems were printed on vellum and affixed to filaments of different lengths. 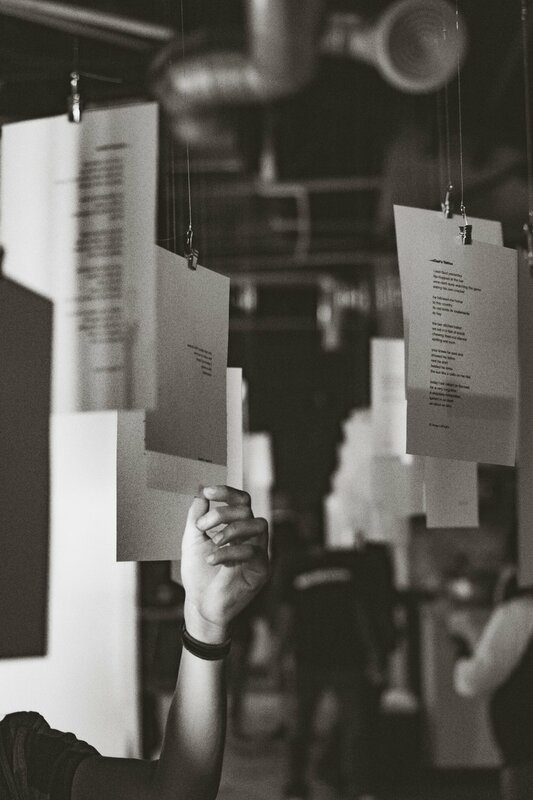 Users were invited to walk through the installation and "pluck" poems to take home.